This page shows the latest Golin news and features for those working in and with pharma, biotech and healthcare. 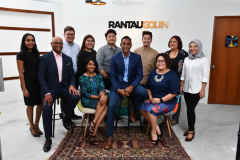 It will be known as Rantau Golin, and the firm will offer public relations solutions to Malaysian-based clients. ... With Rantau Golin, our office will truly reflect the city and community that we’re based in. The president of Golin's global health practice on her long-standing association with the awards. ... Now: president of global health practice at Golin (incorporating Virgo Health). Prior to her new role, Gottlieb was director of the healthcare practice at Cohn &Wolfe and has held positions at Edelman and Golin. She brings further agency experience from Dorland Global Health Communications, Dudnyk Public Relations, The Unland Hayes Group and Golin, among others. Meanwhile Barbara Box (pictured below), who joined Weber Shandwick in 2004 from Golin, has been appointed as executive vice president, North American healthcare strategy lead. ENDS. About Golin. Golin is an integrated agency with PR, digital and content at its core. ... Golin is a member of Interpublic Group (NYSE: IPG). Learn more at golin.com. Through our partner Golin’s network, we can support clients in over 50 markets worldwide. ... Since that day Golin’s reputation has been one of an innovator and leader in progressive corporate and consumer communications that ‘Go All In!’.